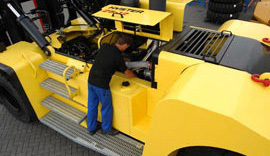 Kanoo Machinery is a division of the Kanoo Group of Companies, one of the largest independent, family owned business houses in the Gulf region. Kanoo Remote Monitoring System software suite can address problems through its state-of-the-art solution using machine telemetries for the integration of machine tracking, machine management and real-time alarm monitoring. We operate one of the largest independent fork truck service infrastructures in the Gulf dedicated to the service and support of materials handling operations. Match the specific needs of your operation by choosing from the most comprehensive range of materials handling equipment on the market. © Hyster-Yale Group, Inc., all rights reserved. 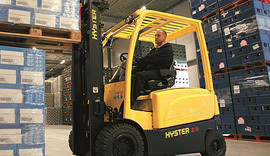 HYSTER, , and “Strong Partners. 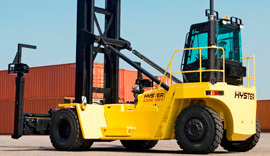 Tough Trucks.” are trademarks of Hyster-Yale Group, Inc.